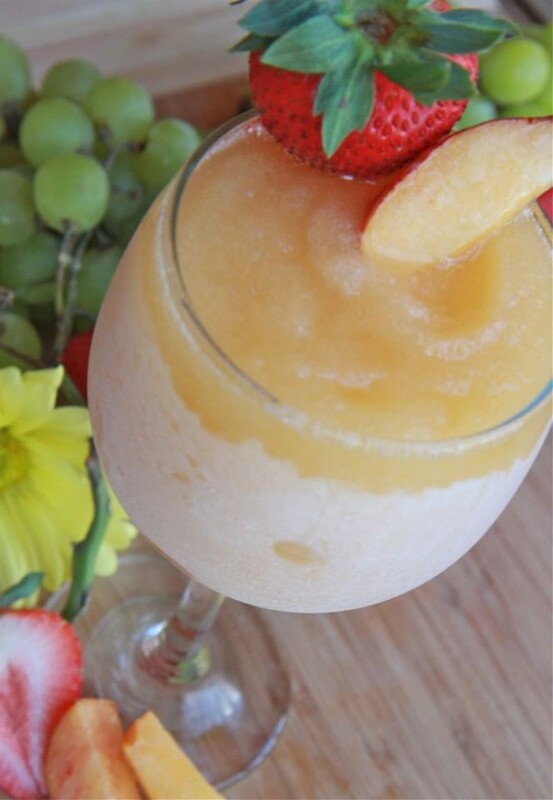 Add frozen peaches, sugar and a few splashes of Viva Diva Moscato to food processor or blender. Blend until completely smooth. Pour in the rest of the Viva Diva Moscato and blend until incorporated. Quickly pour mixture into ice cube trays. Freeze. Place frozen cubes in a blender. Add a splash of wine to make blending easier. Blend until slush consistency, adding a splash of wine to thin it out if needed. Pour into wine glasses, add a straw (if desired) and serve immediately. Garnish with fresh fruit like strawberries and peach slices.